Two days ago I wrote about Czeslaw Mnich and his compilation of maps and characters for Gloom on the Amiga. Today I read a post on Amiga.org by Som99 who wrote that there actually is a resource-site for Gloom on the World Wide Web. On that website you can download many mods for Gloom, as well as read reviews of them. I’ve never heard about this before, so it was news to me. 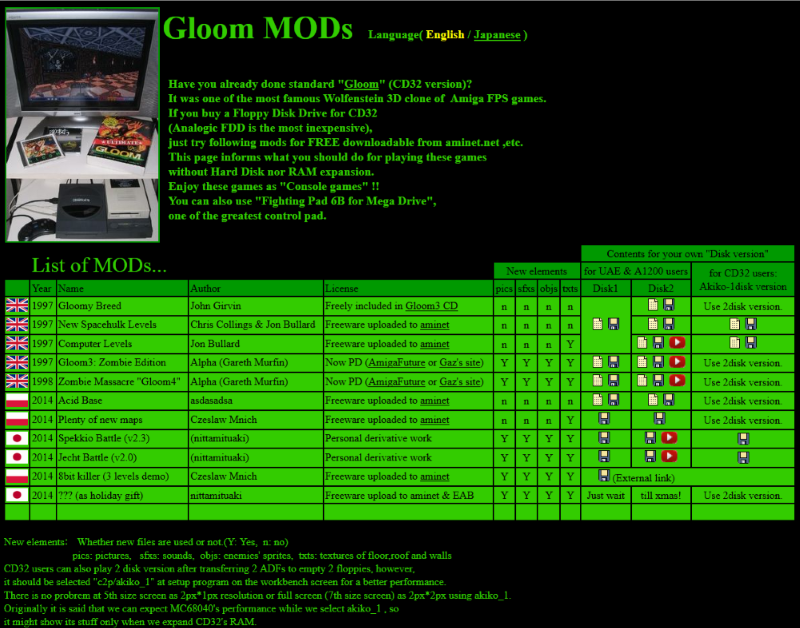 It’s pretty cool that there is a community working on all kinds of mods for Gloom, just like with Doom on many other platforms. Have a good evening and thanks for reading. That is cool. I remember some of the Doom mods that I grabbed back in the day. Some where pretty cool and some were pretty wacky. Sounds great! 🙂 I never had a PC back then, but remember friends who had and they were totally into Doom. I had Gloom on the Amiga, but it was not the same. 😉 Hehe..